Mathematics research papers discuss the various topic areas such as the quantity of something, the structure, space or measurability of an object. Aristotle defined mathematics as the science of quantity. Auguste Comte called mathematics the science of indirect measurement. Bertrand Russell noted mathematics could be known as Symbolic Measurement. Walter Warwick Sawyer named mathematics the classification and study of every possible pattern. Paper Masters can compose a custom written research paper on Mathematics that follows your guidelines. Mathematics is very difficult to define and encompasses many different concepts of geometry, counting, logic and categorization. Patterns are a large part of mathematical computation and without pattern or structure, reason cannot assign meaning, counting, calculation or measurement. 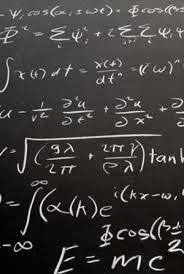 Mathematics is central to many disciplines in academic study. Students often bemoan having to learn math but seldom to they realize how much it is a part of science, engineering, medicine, the social sciences and biology. Galileo could not have could not have mapped the stars; Einstein could not have explained physics. The foundation of mathematics and its history can be traced to Pythagorean society, a secret society that based its philosophy on the concept of whole numbers. The Pythagorean society has its foundation in the philosophy of Pythagoras, a Greek mathematician who was immersed in myth thanks to his followers, which explains the secretive nature of the Pythagorean society that they embodied. First came the Pythagorean School however, which Pythagoras established in Crotona, a seaport in southern Italy. The Pythagorean School was established for the study of philosophy, mathematics and natural science however it quickly developed into the close knit and secret society that the Pythagorean philosophy is also noted for. The Pythagorean philosophy assumed that it was the whole number that was responsible for the various qualities of man and matter, which translated to considerable praise for the study of number properties and arithmetic, for various other natural sciences like astronomy and geometry as well as the study of music. Among the mathematical concepts perpetuated by the Pythagoreans was the distinction between arithmetic and logistics. By Pythagorean philosophy, arithmetic was interpreted as the study of the abstract relationships connecting numbers, while logistics was interpreted as the “practical art of computing with numbers. Pythagoras and his followers are also credited with the development of number theory however the research demonstrates that they are especially noted for the establishing the basis for number mysticism, which assumed, among other things, that numbers have mystical connections that are essential to numerological speculations. Use of Mathematics in the Medical Field Research Papers examine a sample of an order placed on the use of mathematics for MRI's with details on required sources. Common Core Standards for Math Curriculum - As students progress throughout their education, they are exposed to different elements of the mathematics core curriculum, including geometry, algebra, and others. Order a research paper on common core standards from Paper Masters. Numeracy - Other aspects of numeracy include geometry, computation, number sense and statistics. Beyond Einstein Research Papers look at a book by Michio Kaku and Jennifer Trainer about the idea of physics in higher dimensions. Paper Masters writes custom research papers on Mathematics and discuss the various topic areas such as the quantity of something, the structure, space or measurability of an object.